This has been a super busy day in my house. So, this is going to be short and sweet tonight. I wanted to share two things with all my friends in blog land. 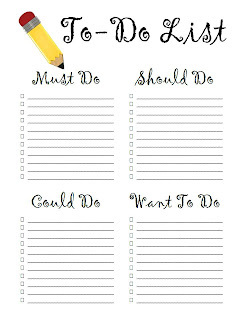 I hope these can help you as you get ready for the school year. 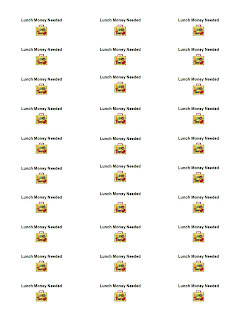 The first file contains labels that can be placed in your students' agendas or homework folder to let parents know that lunch money is low. It can be printed on three column Avery labels. The second file is a to-do list that lets you organize tasks by priority level. Also, the blog has reached 100 followers and I am planning something special for all of my followers. I'll share more on Monday. See you then. Thank you! Why haven't I thought of that? (Lunch labels) Genius! The lunch labels are genius! Thank you! Thanks. It really is a lot easier than having to write a note each time. I LOVE labels. Love the lunch labels!! And I am a list maker! Thank you for both of these! !